bunny. But when a new very small bunny named Susannah arrives in the classroom, something amazing happens. Readers will delight as they watch Amelia transform from a shy bunny into a confident friend. From author-illustrator Marisabina Russo comes an endearing tale that celebrates the power of friendship and the fun of standing out in a crowd. With lively accessible artwork, here is the perfect book for every little bunny who worries about fitting in. 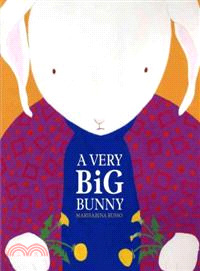 Marisabina Russo is the author and illustrator of numerous books for children, including The Line Up Book, which won the International Reading Association Award; Come Back, Hannah!, which was named a Charlotte Zolotow Highly Commended book; and most recently, The Bunnies Are Not in Their Beds. She lives in Westchester County, New York.